This is a kind of “state-of-the-union” letter from me to the community. As you hopefully have already come to know me, you know that I like to take things up as soon as there is an issue and I also want to discuss it as openly as I can. I also like to make strategic decisions before problems appear. I want to create more hardware for Pokitto. I have so many ideas that still need to be developed. Over the past few months, it has become clear to me that I am becoming the bottleneck of development here. You guys could take Pokitto to levels I have never imagined provided you have all the knowledge and control needed to do so. Let’s imagine this was a negotiation between me and you all. A friendly negotiation, where both sides want the other side to be happy. Now, I would like development of Pokitto to continue, with a heavy involvement by the community. Even to the point, where I distribute rights to sell Pokitto if that is something someone wants to do. I would like to be the enabler of things instead of being the bottleneck. I have personal and direct contact with the top level of NXP LPC (makers of the Pokitto chip), they have expressed their interest to provide us with new chips and they are rooting for Pokitto. My partner in USA, Daniel, is able to create any kind of a PCB we need. We have a sourcing partner in China allowing us to get components at the most competitive price available. Provided there is funding, we can also create plastic parts if needed - another Kickstarter is not out of the question. One thing that could greatly make things easier would be if there was a Patreon system that would bring in a small steady stream that maybe could be used to counter the steady expenses coming from server costs, warehouse costs and bookkeeping costs. We are talking about really small money here but money that, nevertheless, needs to be paid every month for this to continue. And when I say small amount, I mean a <5 $ contribution from the active part of the community would take care of the whole problem and allow us to focus full time on development and expansion. But what do you, dear Pokitto community member, want to see happen in return? Mince no words, speak your heart out, don’t be afraid. I am really interested in your response to what I’ve said here. but in this case I think it’s a valid option. However, I think there’s a better solution. and a fraction of that money (perhaps decided by the author of the game) gets donated to Pokitto Oy. and I think it would be a good solution if we could get it to work. then I for one would be more inclined to take that option. This is not a philosophical question. The server(s) rack up hundreds of euros of expenses per year. Believe me, I don’t feel comfortable making this suggestion about Patreon myself. I had to beat myself with a humble stick to start writing it. We are not at the point where Pokitto is fighting for survival. I am opening the discussion to make sure we do not go towards that direction. EDIT: to make fully clear: we are in a much better condition now than last year at this same time. I agree to a donation system. As i really like merchandise and stuff like this i also would love licensed game boxes with games for pokitto on micro sd with box, booklet and goodies like stickers or pins, something like polyplay or psytronik does. Depends on the price (and german customs ). I believe that hats will be one of the ways to solve this conundrum. As I’ve said before, I believe hats are one of the big unique selling points of the Pokitto. The Arduboy simply doesn’t have that functionality, full stop. The Gamebuino has similar capability, but I have no clue if they’re selling ‘backpacks’ yet or not, and it’s a slightly more expensive device anyway. Once we’re at a point where multiple hats are available, we’ll be able to work towards making more ‘experiment kits’/‘kitboxes’ (name to be debated :P) which will hopefully attract more kids (and big kids :P). The server(s) rack up hundreds of euros of expenses per year. I don’t doubt it for one minute. I had to beat myself with a humble stick to start writing it. I could do with a similar stick to beat myself with. but I’m always really reluctant to do so for many reasons. As i really like merchandise and stuff like this i also would love licensed game boxes with games for pokitto on micro sd with box, booklet and goodies like stickers or pins, something like polyplay or psytronik does. but because I have many memories of opening the game box in the car and reading the instruction booklet before I even got home. access to some stuff sooner, development articles, pre-release etc. I vehemently object to the idea of being able to buy votes. Early access and special ‘contributor’ badges I have less issues with. and if we invented one I can’t even begin to think what would get put there. I appreciate the feedback so far. Openness is always the best option. 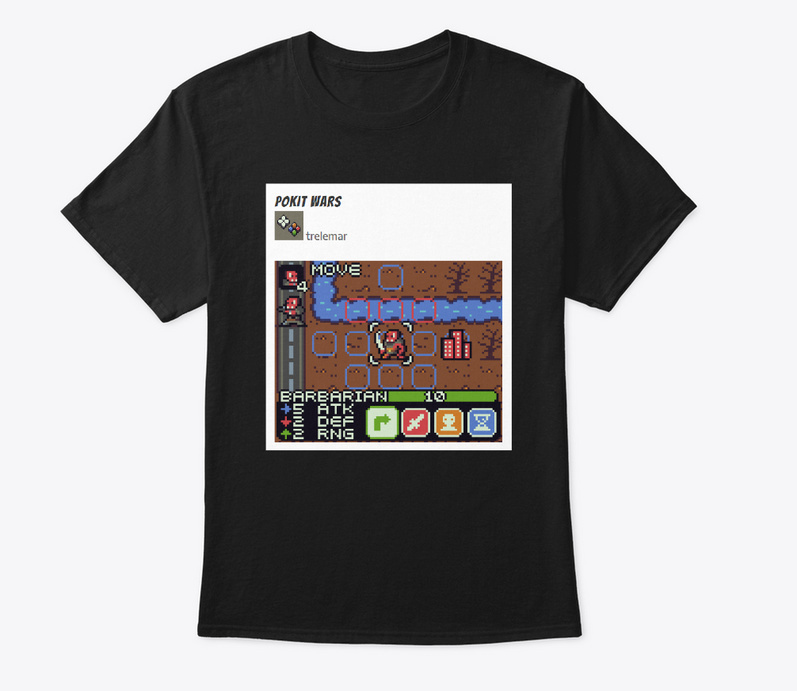 @Zockeromi I realize I have overlooked the possibility of merchandise as an alternative way of supporting the project and I should fix that issue right away. @pharap, @drummyfish As for different “tiers” of support, I think flat-out voluntary contribution, no strings attached is the fairest play of all options. Nobody will be left wondering what is what. Asking for a voluntary donation asks for humility, but the reason why it is so powerful is because the role of the person asking and the role of the person giving are clear. Wikipedia asks for donations. I have donated to wikipedia, because I value what they do. I don’t expect them to provide me anything extra in return. 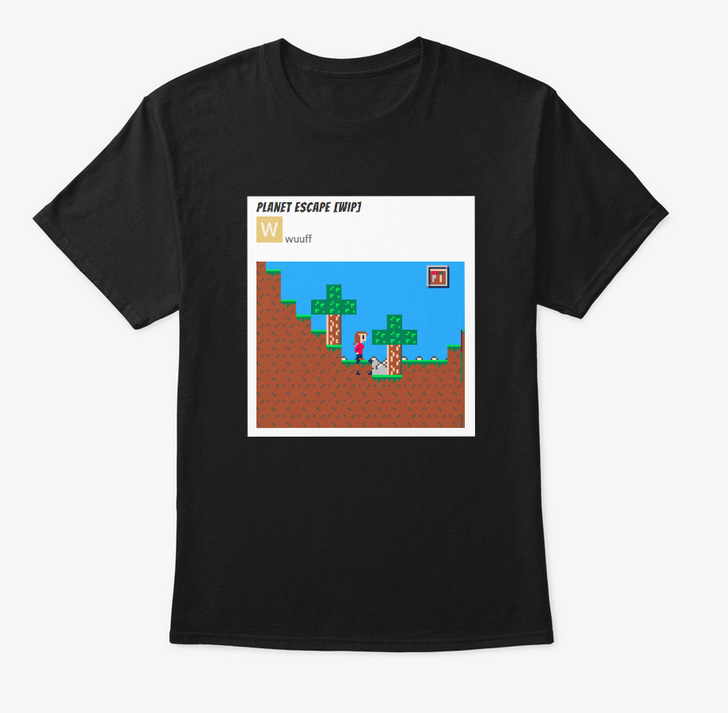 Would the merchandise be game-specific? We’d better start working on original IPs, then. How do people feel about copyright of characters/plots? This is one of the reasons why I want to swap out the Pokitto Grand Prix aliens for something ‘in-house’. but coming up with new characters gives the game more character. I think Polar Parcel is also currently Pokitto-only, so if @trelemar is okay with it we could do something Polar Parcel themed as well. I’m all for the merchandise option, i bet I’m one of a very small minority who cut up the Pokitto tape from the packaging in order to have a Pokitto sticker on my monitor. 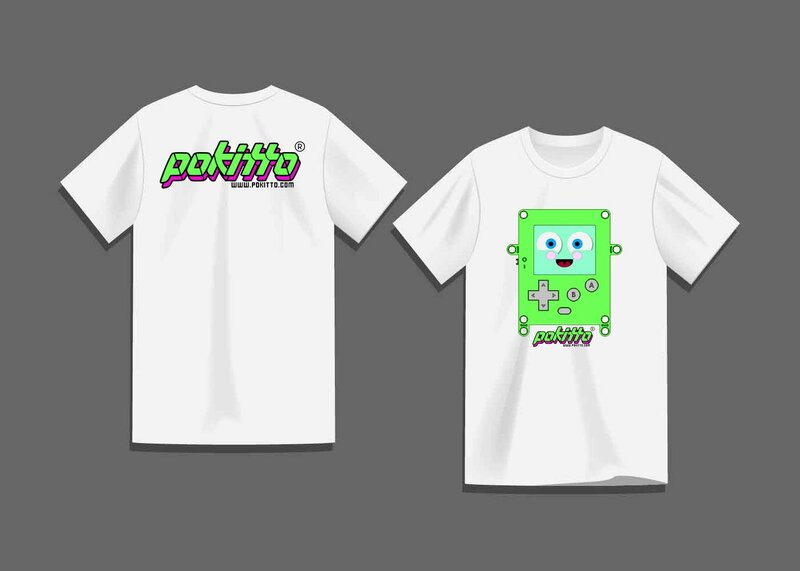 Things like stickers, mugs, t-shirts etc for both the Pokitto system and exclusive games would sell well enough I think. Even a vinyl skin for the Pokitto might be quite popular. Also pokitto.com wouldn’t be the first website to ask for donations towards the running costs and I bet it wouldn’t be the last. Even if it only lead to 20-30%, tha’ts still worth it. I really like the idea of game-specific merchandise. If a game is available on other platforms, people would still be directed to the store to buy stickers/buttons/figures, and in the process they might end up buying a Pokitto. Count me in for the merchandise. I want a plush Pokitto. Would it be possible to make a sticker that fits inside a transparent case? I don’t see why not… are you thinking an extra transparent case, or something to go inside the current case like this? Included: 1 x Crystal Hard Guard Case for 3DS LL(3DS LL is not included). Effectively prevent dirt from contaminating to console. Color: Transparent. Protect your 3DS-LL/XL from scratches and impact. Crystal bright design. | eBay! Why not make some game, and I mean good finished game, accessible by payment? This just for a short time, maybe some weeks. At the end selling games is the way all the console pay the rent. I don’t see why not… are you thinking an extra transparent case, or something to go inside the current case? The text on the battery can be seen clearly on the current case, I don’t think it would be necessary to make an extra transparent one. Edit: Now that I think of it, I’d like to cover up the battery with a Pokitto sticker. That’d look great. Personally, I would like a donation option also. If you like a game enough to pay for it, name your price with x% going directly to pokitto.